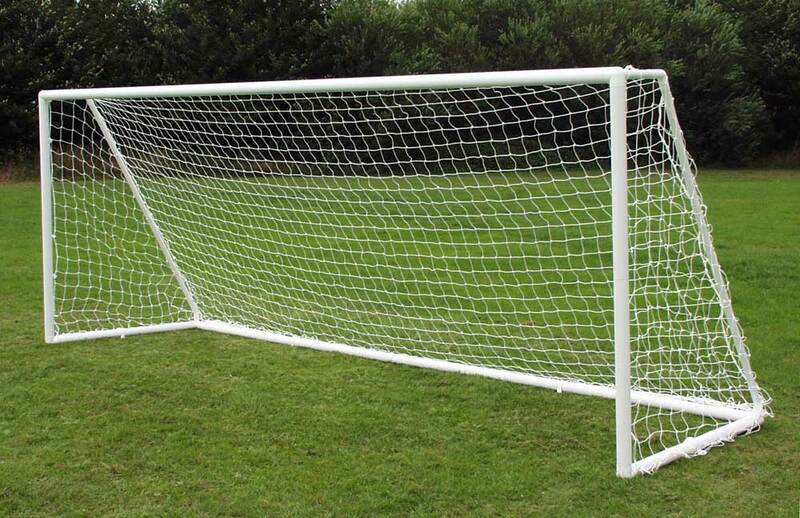 The Football Association recommended youth Football Goal size 16’x7′. 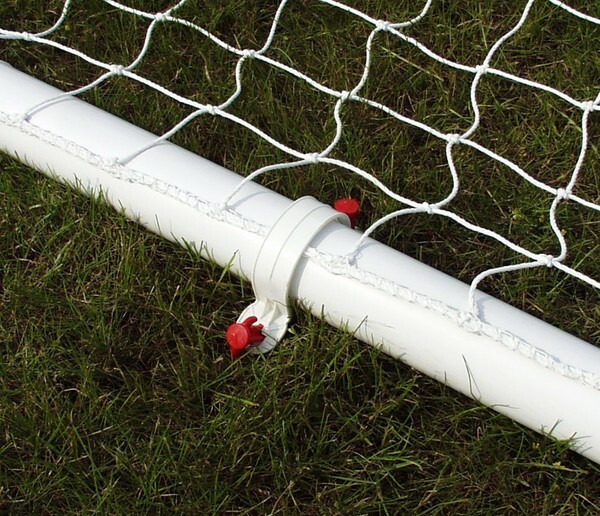 Made from 68mm high impact reinforced PVC with a two section aluminum crossbar. This 9v9 uPVC goalpost 16 x 7 option provides a perfectly straight crossbar with no dip. 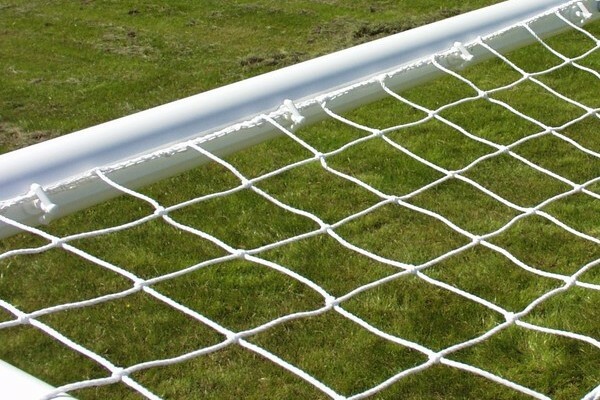 The plastic crossbar version offers real value for money, however for club matches the aluminium crossbar adds that professional look and gives the correct rebound. The goal post assembles with locking buttons and can be erected or dismantled in minutes. Net stanchion supports are locked in position and stay in place unlike other uPVC goals with net support stanchions just pushed into a hole and not secured. The multi surface goal has a ground frame to enable it to be easily moved around once erected. Arrowhead net fixings only found on ITSA GOAL products are included that allow nets to be neatly lifted on and off the rear of the posts. 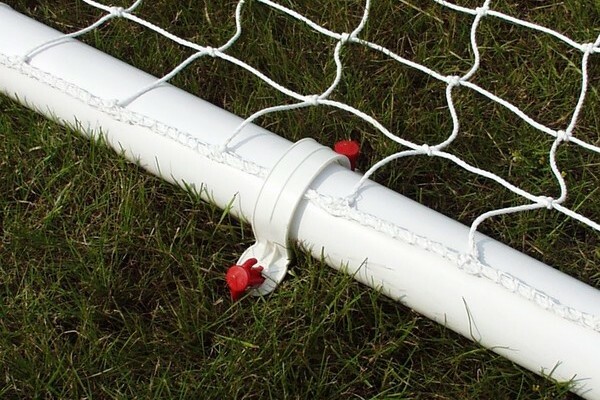 Each goal post comes with simple to use multi-surface anchors, a top quality long lasting net and safety pegs. The anchors supplied allow the goal to be used on any surface. 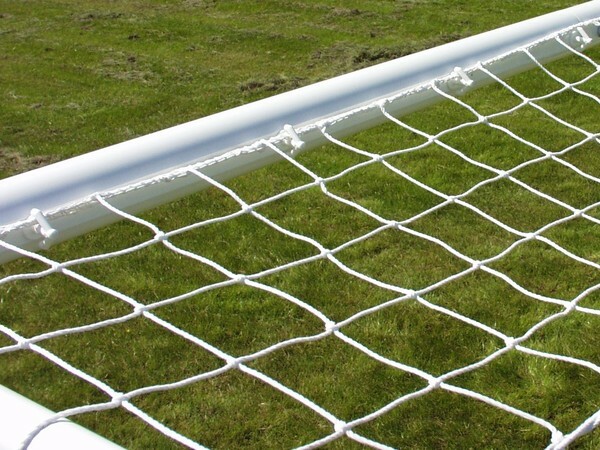 Unique net straps and ground frame fixings extend the life of nets as unlike other uPVC goals the nets do not wrap around under the ground frame in contact with the ground. These nets do not fray along the ground like Samba goals. 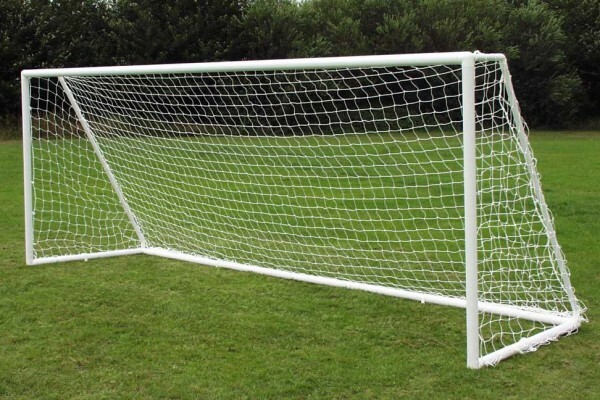 This goal is normally supplied with two section crossbars, however when goal are left assembled the goals are available in single section 16′ long crossbars. £314.20p inc VAT click to buy online. Mr Hall Green United – May 2012 – Wakefield.